Many people try to be something they are not. Maybe they lack self-esteem or self-confidence to be themselves. When this happens, they are not being true to themselves. We are all created differently. Allowing ourselves to be the person that we really are gives us freedom. When you try to be something you are not, that creates stress. You are trying to live up to expectations that are not realistic for you. To be successful at whatever you do, you have to realize that you must march to the beat of your drum. How can one do that who has been afraid to be who they are? I will give 3 tips to assist you in transforming from the charatacter that you have been playing to the real person that you truly are. The first step is performing a self-analysis of you. Take a sheet of blank paper and draw a line down the middle. Label one side Strengths and the other side Weaknesses. Assess for your own self what your strengths and weaknesses are. Be honest. It may be painful to admit what you are not good at but do it. Next, take another sheet of blank paper and write down your accomplishments and your failures. Again, be honest and truthful with yourself. The pain of reliving a past failure may be difficult but you need to do it. Now, review what you have written and ask yourself these questions: (1) am I utilizing the strengths that I have? (2) do I focus on my weaknesses as a means to not be who I am? (3) Are my past failures still haunting me? (4) Are my accomplishments the direct result of using my talents? The purpose of this self-analysis is to understand the person you truly are. Come to grips with past experiences and let them go. Realize that you have talents that are yours. Once you have performed the self-analysis, you should now have the courage to be comfortable in your own skin. Your success begins when you believe that you can accomplish what you set out to do. Once you know what your true strengths are, focus your goals on utilizing those talents. Talents are meant to be shared. Believe in your abilities and have the confidence to pursue your dream. It will not be easy. You will meet with failure. The difference is that as long as you stay true to yourself, you can overcome any obstacle, disappointment and failure. This is the power of believing. Listen to your heart. Follow the beat that surges through your body and plays in your mind. It's telling you what to do. It's giving you instructions to be who you are. It encourages you to go on when you don't think you can. Its beating but you have to listen. You have to not be afraid to dance to your rhythm. You have to not be fearful of who is watching. This is your life. Live your life by your thoughts. Think big, dream and then follow the beat to your drum. Being a success is all about marching to the beat of your drum. Through honest self-analysis, believing in yourself and listening to your heart, you will achieve all that you desire. It starts with you, the real you! try telling all this to the suits you need to work for in struggle to make enough money just for basic necessities of human existence in a designed world that doesnt allow for honesty, individuality, and the healthy ego process. The best way to get a better life is by self-analysing yourself. If you write about you in a white paper, you can analyse the good and the bad things you did in your life until now. And thus you can make a good future life by removing all the bad things in your life. wow, that was all awesome points to improve the self confidence of a person. finding our skills is a difficult task. but the things we know are vast and the self analysis can help us finding the most beautiful thing in which we are perfect. It is a collection of articles that authors from around the world, like you, have submitted to my website Motivation for Dreamers (www.motivation-for-dreamers.com). 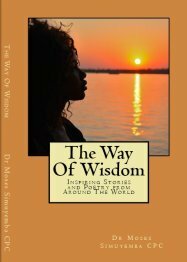 I thought it would be a good idea to spread your wonderful insight and wisdom to others who may not have access to the internet or who might just love to have a book to share with others as well as to enjoy reading themselves. The book will be available on Amazon.com, Createspace.com and their affiliated booksellers as well as in bookstores in Zambia, for a start. Who knows, perhaps we could partner to have the books sold in your country or city as well. This request is for a non-exclusive, irrevocable, and royalty-free permission, and it is not intended to interfere with other uses of the same work by you. I will include a full citation to your work and other acknowledgements as requested. As a way of saying thank you I would be happy to send a few copies of the book to you. Please provide your preferred mailing address if you would like me to do so.